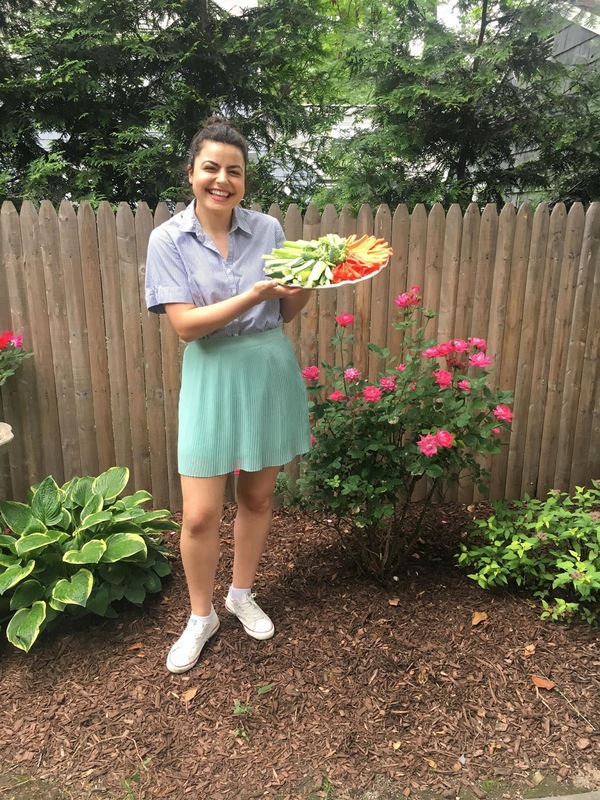 This weekend I celebrated my graduation by having a low waste vegan party! 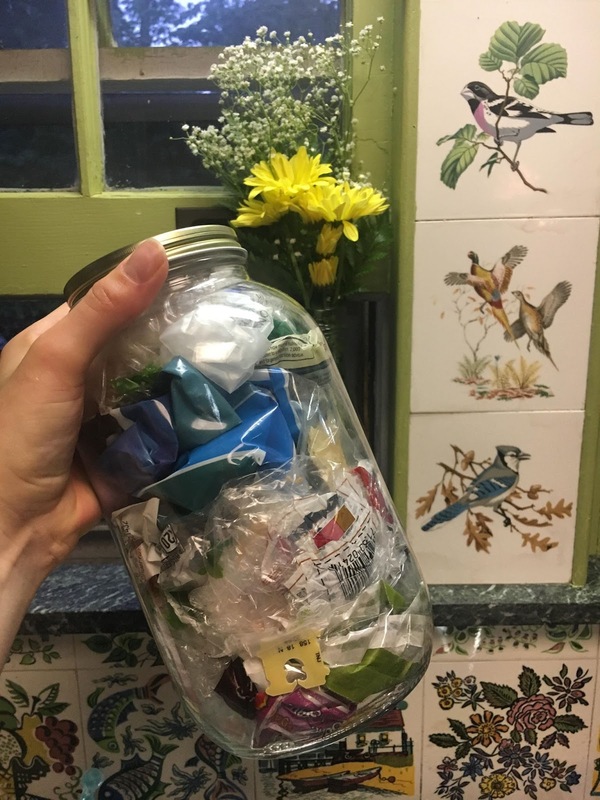 I was on the fence about having a low waste vegan party since most people have a preconceived notion of what vegan food is and are not familiar with the “zero waste” movement. However, I ended up deciding to just go for it and I’m so glad that I did! 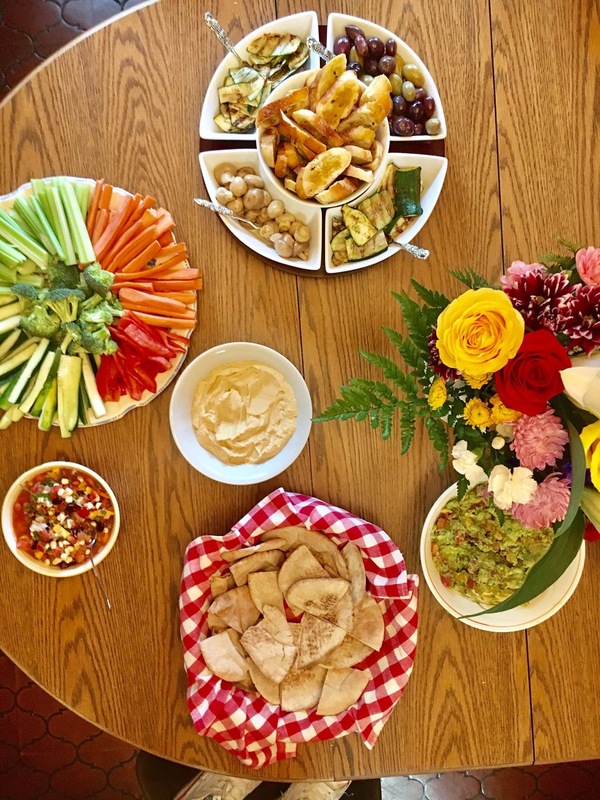 In order to plan for the party, I started by creating a menu which included appetizers, dinner, and dessert (I’ll list it below). After creating the menu, I made a list of what we needed and separated it by produce, bulk items, canned goods, and everything else. For the produce, my brother and I went to the farmer’s market and bought all of the fruits and veggies for the party without plastic. I used my reusable produce bags and tote bags so that I didn’t have to use any plastic bags (#plasticsucks). 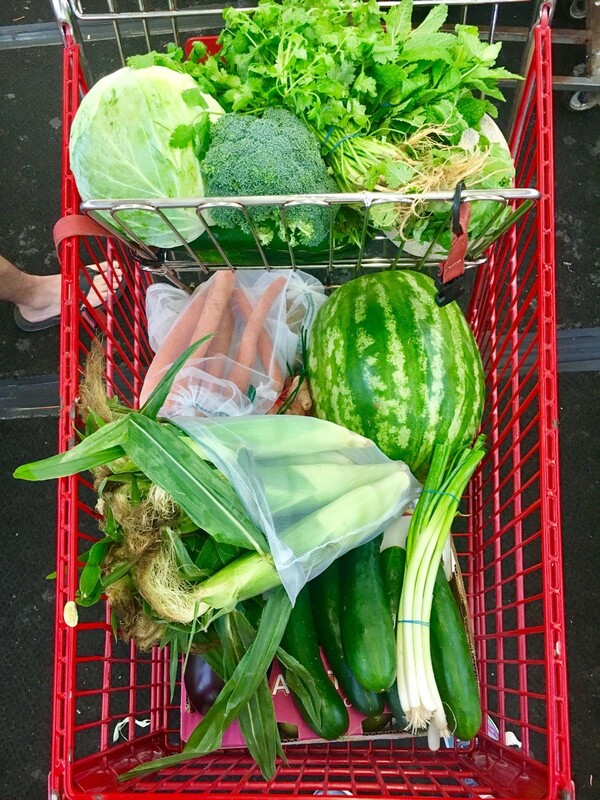 I like going to the farmer’s market because most produce doesn’t come wrapped in plastic! In total, the produce only cost about $50. Although none of it was organic, it was still a step in the right direction. The next step was to go to the grocery store for bulk items, canned goods, and everything else. Normally I go to Whole Foods, however I knew it would be too pricey for the party if I’m being honest. Instead, I went to Fairway Market which is similar to Whole Foods. There, I bought rice and coconut flakes from the bulk section, a few cans of chickpeas and sauce, and the rest in packaging. I tried to buy all of the packaged products in glass, paper, or aluminum to support a circular economy. However, this wasn’t feasible for items that only came in plastic like veggie burgers, buns, sprouts, chips, and pita bread. Normally, I would not buy anything in plastic. However, this was an exception since I needed to be more flexible for the party and cater to different preferences. 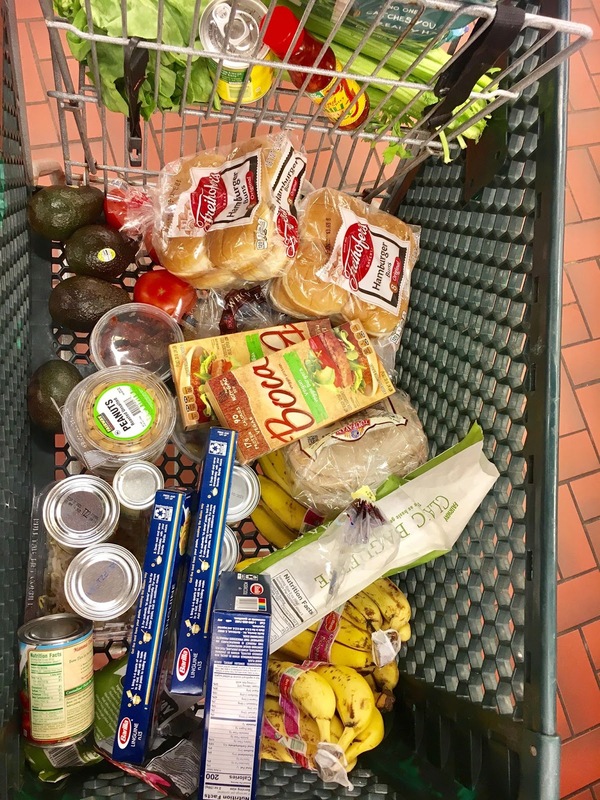 This grocery haul cost about $140. I said I’d get back to the menu so here we are! *If you want any of the recipes, message me on Instagram @anewerkatintown! In order to reduce waste, I set up three bins: compost, recycles, and trash. I labeled each one with instructions so that guests would know where to put what. 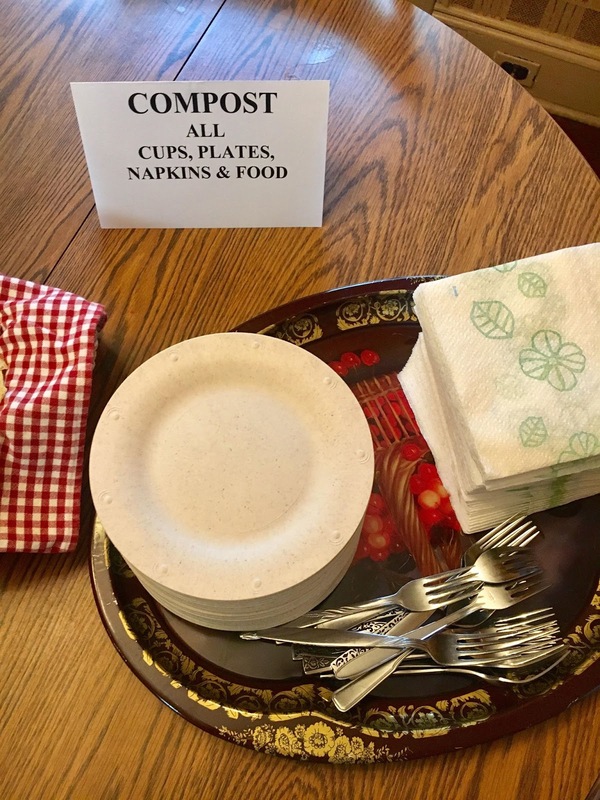 All food, plates, bowls, cups, and napkins were composted. All plastic soda, wine, and beer bottles were recycled. 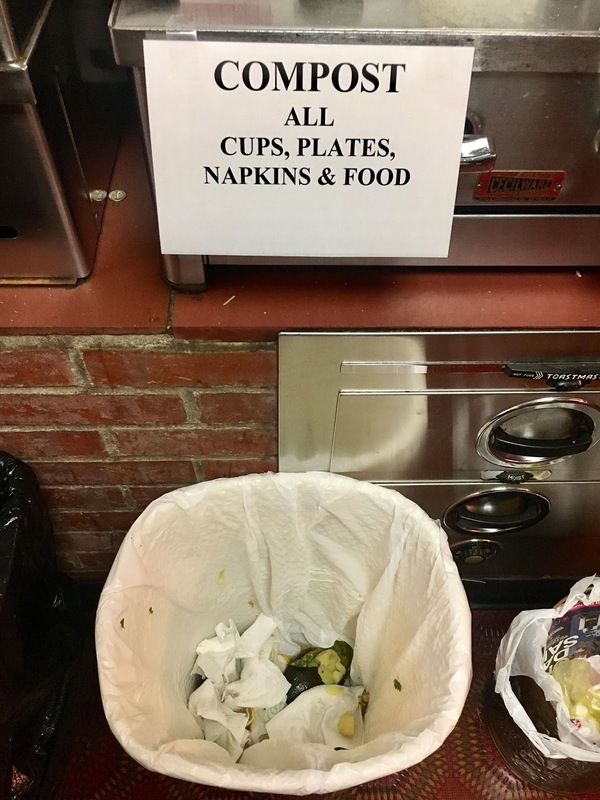 All other items that couldn’t be composted or recycled were placed in the trash bin! Don’t tell people you’re having a vegan party (unless you want to), just let them enjoy the vegan food!